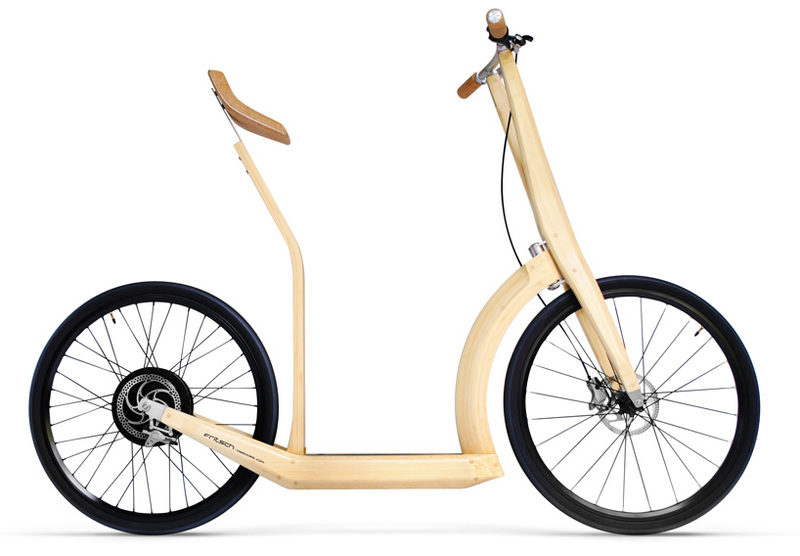 Bamboo electrical bike (prototype) - Bicivilizados. Ciclismo urbano. Alegría entre tus piernas. 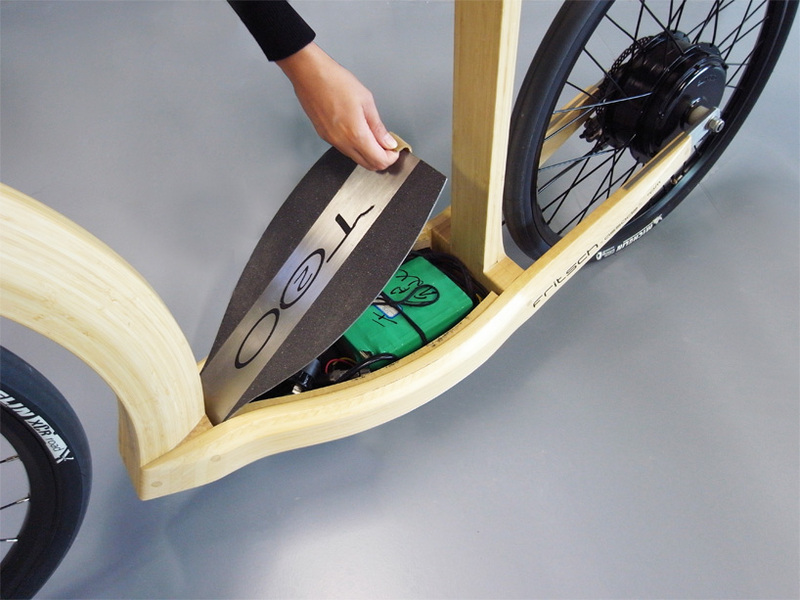 ‘t2o’ bamboo bike (prototype) by fritsch-associes image © fritsch-associes the ‘t20’ bamboo bike is a prototype by french designer antoine fritsch as part of an ongoing research project to investigate themes exploring changing behaviors related to sustainable development. Although the body is made out of bamboo, other elements include cork, steel, aluminum and rubber. Surprisingly, the small motor, which is hidden under the footrest, can reach a cruising speed of 35 km/hr (21.7 mph) for a range of about 40 km/hr (24.8 mph). The acceleration works similar to a scooter, employing manual power from the user to push the bike forward until it gets going, while a hybrid cork structure acts as a fusion between a seat and backrest for a comfortable ride.